We are incredibly proud at Turney School in the mature manner that four of our young athletes were able to represent the Borough of Lambeth at the recent London Youth Games. John, Desiree, Daniel and George were all selected to race for Team Lambeth. We were joined by our other friends from Lansdowne, Elm Court and Elm Green schools. The London Youth Games took part in east London at the Mile End Stadium. They were organised as a serious sporting competition, but with an emphasis on fun and supporting all of the competitors. The Turney pupils all took part in the 100m race. Desiree also ran in the 200m. Sprinting is a skill that we have been learning with Mr. Jones during our regular Turney PE sessions. 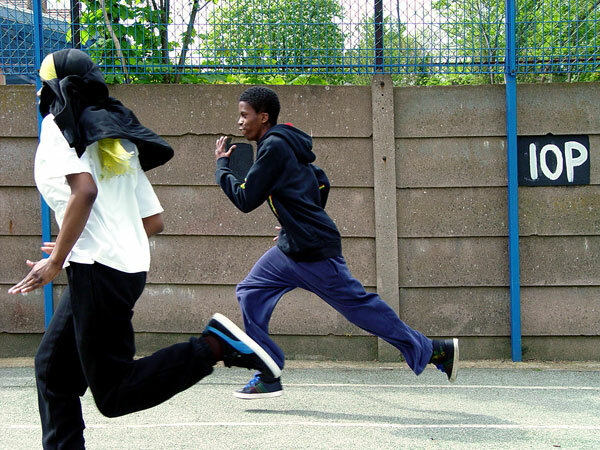 The London Youth Games were the ideal opportunity to put the theory into practice! We were very impressed with the outcome. Team Lambeth finished in seventh place out of the 32 boroughs. Daniel was able to win a bronze medal for his superb performance in the 100m sprints. We will continue to improve our athletics skills across all year groups back at Turney School. As well as track events such as sprinting, the pupils are also learning the skills to be successful field athletes in events such as the javelin.